So this is the sort of review that I have no idea why I'm making - well, at least beyond the most cynical of responses, which is that Clean Bandit have several songs that have attracted a lot of attention and this'll likely wind up getting traffic for relatively little effort on my part. But is that a fair assessment, especially given how many singles worldwide Clean Bandit have notched with a more distinctive blend of tropical elements, classical strings, and grooves that don't feel beholden to overweight trap percussion? Well, yes and no - I'll admit I've never really loved a Clean Bandit song - they have a weirdly pristine but fussy nature that can come across as oversanitized and underwritten, and I include 'Rather Be' in that category - but I wouldn't say I dislike them either. Yeah, the personality of any given song is more dependent on their guest stars and to expect a cohesive album is a crapshoot, and it's hard not to feel like a lot of their music is custom-designed for department stores trying to sound hip... but they can land some good melodies and while their first album didn't impress me at all, maybe their follow-up would be okay... even if it feels like I've already heard a significant chunk of it. Yeah, that's the other thing about reviewing an electronic project like this, the albums feel more like singles compilations - but hey, that's normally the formula for great pop albums so I'm not going to hold it against Clean Bandit here, so what did we get on What Is Love? So here's the thing: after multiple listens to What Is Love?, I completely get why fans of the first project and especially 'Rather Be' might have turned on this project. To put it bluntly, What Is Love? is the sort of messy project that not only feels like more of a compilation of fragmented ideas, but also of production styles, which came at the expense of the strings-accented electronica fusion in favour of something that's far more conventional within mainstream pop. And not only that, given the extended development time and having released entirely too many singles, What Is Love? feels even more scattered, a chronology of riding trends and sounding ever so slightly dated all the way until the end. And yet given where pop is now, arguably at one of its lowest points drowned out in bassy trap, and that I was never a huge fan of Clean Bandit's unique aesthetic in the past, I won't deny that I found slices of this project enjoyable enough to save it. Like it or not, Clean Bandit has a focus on melody and a well-structured hook, and if there's a core to holding this together, it's more of that than any one particular style, which paradoxically might wind up holding up better. Now of course, the first massive qualifier that needs to be tacked onto this is that all of these songs are incredibly dependent on the person singing here and whether they can match with Clean Bandit's glistening keys, faster tapping percussion, and organic accents splitting across strings and a surprising amount of Spanish guitar and ukulele. And that means you're dealing with a possibility of four different tones blended in various combinations across this album, from classical strings blended with electronica to more tropical-leaning grooves, followed by choppy reggaeton and even hints of stuttering trap percussion. And like with any Clean Bandit song, if you start breaking it into pieces, you'll notice just how tenuous the construction is, and if you're a singer who can't fit within that architecture or might require a bit more space, you're going to sound hemmed in - in comparison with a producer like, say, Kygo, you fit within Clean Bandit's spaces, not the other way around. And while the most immediate evidence of this comes on 'Solo' with Demi Lovato - which thanks to that strings melody has inexplicably grown on me since I covered it on Billboard BREAKDOWN, it's a lot more evident on the rickety trap hi-hats, choppy acoustics, too tight multi-tracking and warped post-chorus guitar lead for Ellie Goulding - producers really need to learn to give her space, for god's sake! And again, while you might able to understand the inconsistency given how scattered this album feels and appreciate when it hits great moments - Zara Larsson against the rubbery bass, sharp synths, and swells of strings on 'Symphony', Marina And The Diamonds bringing her throatier register against the choppy acoustics on 'Baby' opposite Luis Fonsi, ALMA ending the album with a thicker choral swell supporting her and the sandy groove on 'In Us I Believe', even Anne-Marie redeeming herself for the confused mediocrity of 'Rockabye' on 'Should've Known Better' with the gentler piano melody playing surprisingly strongly off the skittering tropical-trap blend - those are not the majority. In particular I feel bad for KYLE, whose looser delivery loses so much of its fun against the much sharper skitter on 'Out At Night' and then playing opposite Rita Ora on the blocky fizz of 'Nowhere' - neither song is outright bad, but if there were songs where a tropical bounce or acoustic guitar could be used, it's with him! And then there's Julia Michaels on 'I Miss You' - look, she's already not a good singer, pressing the synth and strings into weedy mush for the post-chorus drop doesn't help anyone, it's easily the weakest cut here. But here's the question: once you've finished just describing the songs, what else is there even to say about this project? Yeah, the lyrics are a bit darker this time around, the relationships are more troubled, but it's rare they pick up much idiosyncrasy or nuance - and sure, it's electronic music, that's kind of be expected, but the only time I really notice the songwriting is when it does something weird, like the weird censorship of the swearing on 'Solo' or the awkward darkness of 'Rockabye' - and those are just the singles! Why, for instance, is Ellie Goulding peppering 'Mama' with Spanish, or why did KYLE just seem to forget to flip the pronouns for the chorus after the second verse on 'Out At Night', which could have made the song a lot more interesting if it didn't just feel like a mistake instead of a progressive subversion? I guess if I were to highlight songs that did capture a bit of unique lyrical detail they'd be isolated: beyond the extended metaphor of 'Symphony', I did like 'We Were Just Kids' and the interplay between Kristen Joy and Craig David reminiscing on a long-lost teen romance - even if the song feels like a straight rip of 'Kids In Love' by Kygo from last year - and say what you will about Anne-Marie's bluntness, in terms of an exasperated breakup song she kind of nails 'Should've Known Better'. But beyond that... look, it's just kind of thin overall, which means I'm stuck clinging to whatever good melodies I can find. Thankfully, there are more good melodies than bad here, and I'll admit this was pretty decent. 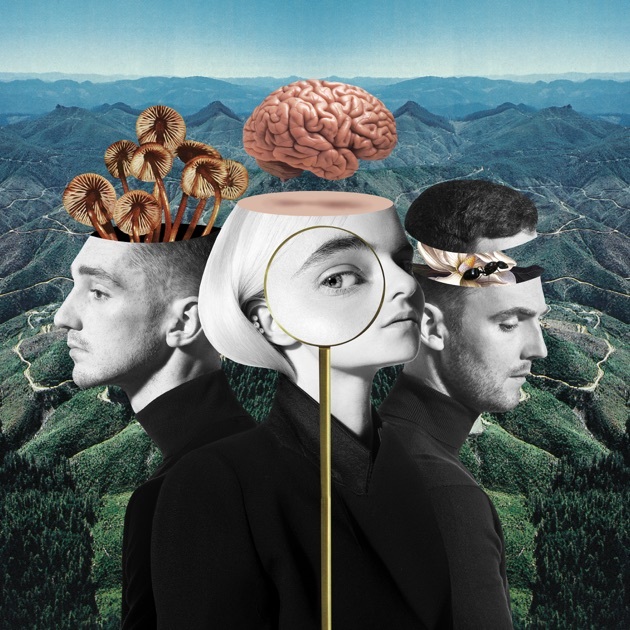 Again, it's not great and if you're coming from their debut expecting to find more of the same, you will be disappointed, but there's something almost old-fashioned in Clean Bandit's relentless focus on melodic interplay, energy, and grooves that I can respect, which is enough to net this a light 6/10 and a recommendation if you're curious. Again, it's more a scattered collection of singles since 2016 and I won't claim any of this isn't disposable, but it hits more often than it doesn't and compared to most of the desaturated murk that passes for pop right now, I'll take what I can get.